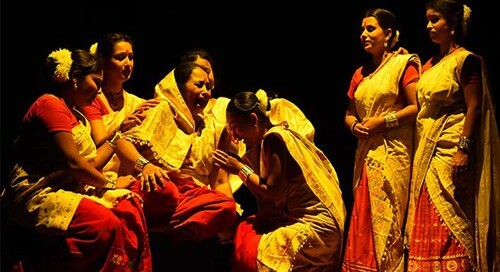 New Delhi, July 18 (IANS) Folk music from Madhya Pradesh and Assam was rendered at the Indira Gandhi National Center for the Arts (IGNCA) here on Wednesday, as part of a three-day series, to bring to Delhi, fading music from all over India. The "Sanjari: Ek Bharat-Shreshth Bharat" series by the centre has organised presentations of music from Arunachal, Bihar, Rajasthan, Goa, Tamil Nadu, Jammu and Kashmir, Uttarakhand, Karnataka, Delhi and Sikkim till date, IGNCA said in a statement. The first day of the eighth edition saw performances of 11 Malwi folk songs by folk artiste Krishna Verma, and 'borgeet' and tribal folk songs by singer Ranjit Gogoi. Gogoi and his troupe sang folk songs of Assamese tribes like the Hajong, Karbi, Rabha and Bodo tribes. The remaining days of the three-day festival will see performances by folk artistes from Jharkhand, Manipur, Gujarat and Nagaland.